(COVINGTON, La.) St. Paul’s prides itself on excellence in the classroom as well as on the sports fields. This 2017-18 sports year was a record-breaking year in terms of sports achievements. This year, SPS was represented well by 15 different sports teams, ranging everywhere from Cross Country to Rugby. These 15 sports racked up 6 District Championships, 4 State Runners-Up and 13 college-bound athletes. In cross country, the Wolves won their 10th consecutive District Championship. The team featured four runners on the All-District Team, five on the All-Regional Team, and Jonathan Bertucci named to the All-State team. Coach Terryl Chatham was named District Coach of the Year. Senior Stephen Schlottman will continue his running career next year at the collegiate level and will join fellow SPS cross country alum Eric Coston at LSU. 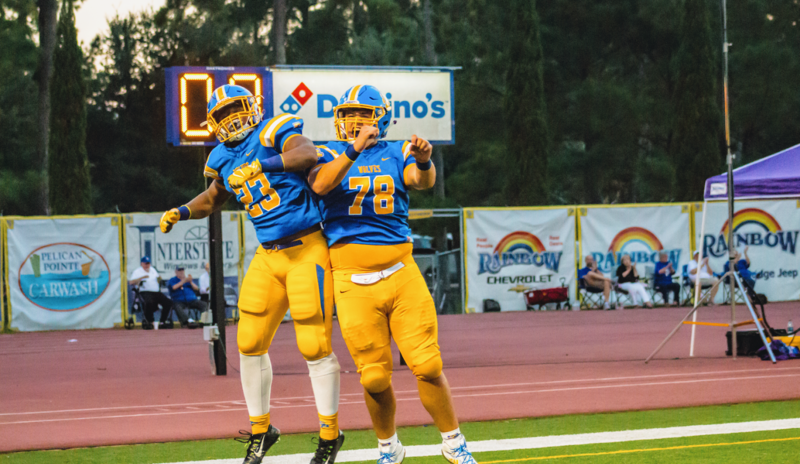 On the football field, the Wolves defeated Holy Cross in the 1st round of the playoffs, but were then defeated by the eventual State Runners-Up, John Curtis. Just as was the case last year for the Wolves, nine players were named to the All-District Team. Senior All-District members were Noah Seiden, Paul Gremillion, Grant Grosch, Conrad Robinson, Cameron Cluney and Corey Williamson. Junior members named were Owen Hnatyshyn and Bear Palazzo. Sophomore Wayne Galloway was also named to the All-District team for 2017. Three Wolves are moving on to compete at the collegiate level: DE Noah Seiden (Tulane), LB Taylor Lacoste (University of Mary Hardin Baylor) and P Cameron Cluney (Rhodes College). The swim team, led by senior Myers Morgan, brought home the Northlake Regional Championship. Morgan was the 50- and 100-yard freestyle Regional, Metro and State Champion. Sophomore Jesse Cheng was the Regional Champion in the 100 Butterfly, 100 Backstroke, 200 Medley Relay and 200 Freestyle Relay. The Aqua Wolves were led by Coach Emmett Smith, who was named Coach of the year for the District. Morgan will continue his swim career at Queens College in North Carolina. For the 8th year in a row, the Soccer Wolves were back in the State Championship game. The Wolves were led by senior Mason Robicheaux, who was named All-District MVP, 1st Team All-State, All-Metro and the 2017-2018 MaxPreps Player of the Year. Seniors Justin Savoie and Colin Moser were both named 1st Team All-State and 1st Team All-District, and senior Kyle Schmitt was named 1st Team All-District and 2nd Team All-State. While the Wolves couldn’t pull off the 5th consecutive state title, however, they had a fantastic season and brought the District Championship back to Jahncke, where it belongs. The Wolves lost District last year to the Mandeville Skippers. Mason Robicheaux will continue his soccer career at Appalachian State University, and Cole Knobloch will travel to the United Kingdom and will continue his soccer career at FAB Academy in Bisham Abbey, UK. In the weight room, the Powerlifting Wolves placed 2nd in the Regional meet, 4th in the State meet and 3rd in the Nation. The Wolves were led by seniors David Ricalde and Thomas Dugan, and juniors Phil Nicaud and Mason Impastato. Ricalde was the State Champion in the 165 lbs. weight class. 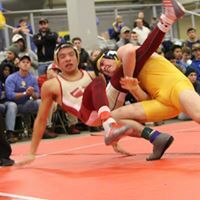 In the national meet, Nicaud placed 2nd in the nation, Impastato and fellow junior Connor Oviedo both placed 3rd in the nation in their respective weight classes, Ricalde placed 4th, and Dugan placed 6th. The Wolves were led by Coach Jesse Kellum. The final Wrestling Wolves team led by District, Parish, and NFHS (National Federation of State High School Associations) State Coach of the Year, Craig Ketelson, won the District and the Parish titles. The Wolves placed 4th in State led by senior State Runner-Up Grant Hughes. Fellow seniors Cole Houser, Jared Thieler and Jake Arena also placed in the state meet, placing 3rd, 6th and 3rd respectively. Not only was Hughes the State Runner-Up, but he was also the All-District MVP and the Parish Champ. 1st Team All-District Wrestlers included Houser, Thieler and Arena, as well as Matthew Algero, Connor Oviedo, Brandon Stein, Ben Davidson, Peyton Ward, Cole Ulfers and Carter Duet. Thieler will continue his wrestling career at the University of Northern Colorado. In The Gene, the Basketball Wolves absolutely dominated the competition. Led by District, Times Picayune Metro, and Advocate Metro Coach of the Year Stephen Dale, the Wolves advanced all the way to the Division I State Title Game for the first time in school history, where they fell to the Scotlandville Hornets. The Wolves were also the Allstate Basketball CYO Classic Champions. Senior Parker Edwards was the District MVP, Times Picayune All-Metro MVP, Advocate All-Metro 1st Team, 1st Team All-State and a LHSCA All-Star Game Participant. Edwards surpassed 2,000 career points at St. Paul’s this year in a game vs. Fontainebleau. Senior Devonte Allen was 1st Team All-District as well as a member of the All-Metro Team. 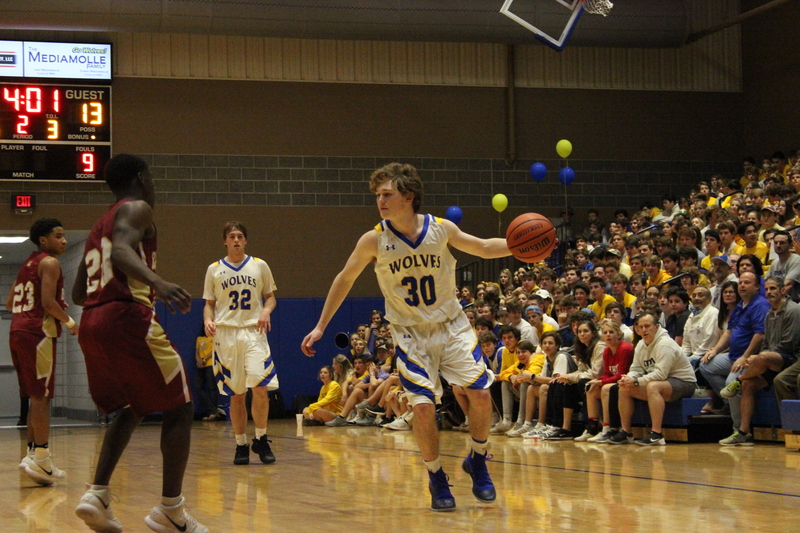 Allen surpassed 1,000 career points for the Wolves this season. Senior Chandler Owenby was an Honorable Mention All-State and the third member of this year’s squad to be named to the All-Metro Team. Seniors Luke Andrews, Colin Quinlan and sophomore Bill Leahy were also Honorable Mention – All District players. Three Basketball Wolves will continue their careers at the collegiate level: Parker Edwards at Southeastern Louisiana University, Chandler Owenby at Hobart University and Colin Quinlan at Franciscan University of Steubenville. The indoor track team placed 11th in the State meet at LSU this year, with the 4 x 800m Relay Team of juniors Luke Paille, Frankie Durio, and Evan Hendry, and senior Stephen Schlottman placing 1st. Schlottman also placed 6th in the 1600m run. Junior Jonathan Bertucci placed 6th in the 3200m run. The golf team, led by District Coach of the Year Luke Barwick, were the League and District Champs. The Wolves also won the Atchafalaya Open. This year’s All-District Golfers were junior Jacques Cutrer and freshman Owen Hayden. Cutrer was also the Individual League Champion. The Baseball Wolves advanced farther than they have since their 1999 State Championship. The Baseball Wolves narrowly lost the 2018 State Championship game vs. John Curtis by a score of 2-1. Senior Caleb Lupo and juniors Jacob Scherer and Beau Neelis were named to the 1st Team All-District squad. 2nd Team All-District members were freshmen Connor Simon and Matthew Russo and juniors Grant Bizette and Kyle McLaughlin. Caleb Lupo will continue his baseball career at Delgado Community College. In track and field, the Wolves won the Judy Baehr Relays Meet and were Runners-Up at the Parish and Andy Thiel Invitational Meets. The Wolves also placed 6th in the District meet. Junior Evan Hendry was the District Champion in the 800m run. At the Parish meet, senior Stephen Schlottman was the champion in the 400m and 1600m runs, Hendry won again in the 800m run, and the 4x400m relay team of Schlottman, sophomore Blake DiSalvo, freshman Justin Baham and senior Henry Elliot. Schlottman was named Parish Meet MVP. On the tennis courts, the Tennis Wolves were District and Regional Champs, and also place 4th in the State. Seniors Kent Shiell and Jordan Edney were the State Runners-Up in the Doubles competition. The Tennis Wolves were led by District Coach of the Year Bro. Ken Boesch, FSC. Another important event for this year’s team was the closing of their campus courts to make way for a new parking lot. Senior Kent Shiell will continue his tennis career at Belmont Abbey. On the rugby pitch, the Rugby Wolves won the Tulane High School Sevens Tournament and also qualified for a televised match to be played vs. Jesuit on June 9, 2018, during halftime of the NOLA Gold vs. San Diego Legion match. 1st team All-League selections were seniors Hayden Coutrado, Nicolas Montreuil and Andrew Eikel. 2nd team selections were seniors Gavin Grefer and Adam Moennich. The Bowling Wolves placed 2nd in District with a best-ever record of 10-2. The Most Valuable Bowler award was given to junior Jonathan Wellmeyer with a 212 average. 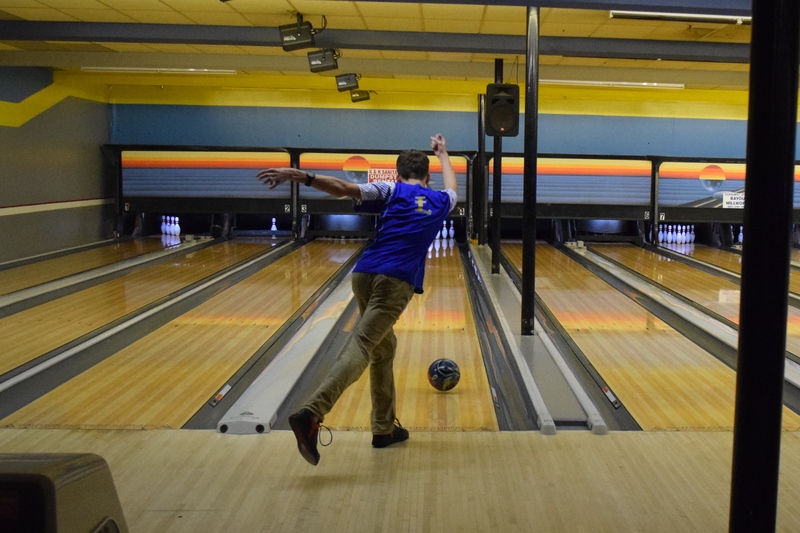 The Most Improved Bowler award was given to senior Matthew Aupied who improved by 42 pins. The Coach’s Award was given to senior Riley Perez. Junior Jonathan Wellmeyer was named to the 1st team All-District squad, followed by fellow juniors Peter Bertucci and Joseph Brown, named 2nd team All-District. The Lacrosse Wolves were District Champions, Allstate Sugar Bowl Varsity Division Semifinalists, and State Runners-Up. Coach John Meibaum was named District Coach of the Year. 1st team All-District members were seniors Robby Nolan and John Connor Flick, and juniors Ian Varney, Chris Flood and Hyde Healy. Juniors Austin Holincheck, Michael Philippe and Jakob Massey were named to the 2nd Team All-District squad. Honorable Mention All-District members were senior Hanson Stuckey and sophomores Paxton Ballard and Jarrett Meibaum. 1st team All-State members were juniors Ian Varney, Chris Flood and Hyde Healy, and senior John Connor Flick. Senior Robby Nolan was named to the 2nd team All-State. EDITOR’S NOTE: Special thanks to Ms. Claire Coutrado for contributing to this article. Congrats, Spencer, on an informative and well-written article that more than adequately summarizes our great athletic year. Keep up the excellent work. Thank you Brother. Your support means so much to our Publication!